I feel that it is important to start this blog post by saying that this is a difficult time of year to stay healthy. You can be exposed to colds, the flu, stomach bugs, and a number of other contagious illnesses that can really wreak havoc on your voiceover work. The very first thing that you should do, if you find that you have come down with an illness is to seek medical care. Many conditions will require prescription medications, and the sooner you begin treatment, the sooner you will be able to get back to the studio. That said, sometimes it is just a cold or a virus that is making you feel tired, groggy, congested, and sore in the throat. If this sounds familiar, then consider these helpful hints that may allow you to get back to recording faster. 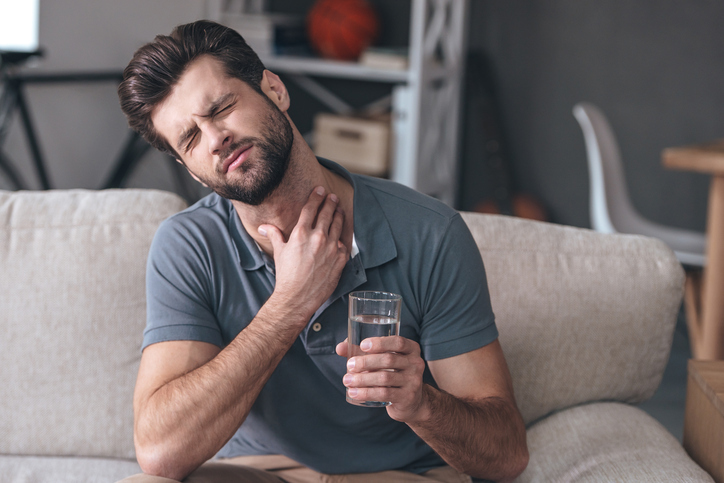 Gargle with Salt Water The salt combined with warm water actually has natural anti-inflammatory properties that can reduce the irritation in the throat. Drink Hot Beverages with Honey and Lemon Typically the recommendation is tea, but if you are really adverse to tea, then consider putting honey and lemon in your coffee or even in hot water. The honey will coat your sore throat providing some relief, and it can also provide natural anti-inflammatory action. Lemon can help clear mucus, and the warm temperature tends to be very soothing. Eat Garlic (As Long as You Aren’t Planning to Audition in Person) Despite it’s not so pleasant effect on a person’s breath, garlic is a natural bacteria fighter and can help you kick your illness faster. Take a Hot Shower Just before you have to go into the recording studio take a hot and steamy shower, or boil water on the stove and breathe in the moist steam that rises from it. The steam can help to break up congestion, making it easier to breathe. It can also ease a sore throat. Drink… A LOT Above all else, it is essential that you get plenty to drink as the fluid will rinse your throat, and keep it moist. This will reduce pain and speed the recovery process. Dehydration can cause even more problems. Definitely avoid that by continually sipping water, tea, or other beverage of your choice while ill. This will also help you maintain your strong voice for recording.